Here at Moving Service we take time to make sure that all of our customers’ needs are fully and clearly understood by offering a free initial removal consultation. This allows us to recommend and provide a tailor-made removal solution for you. Our expert house and office moving team are 100% committed to staying at the very edge of the removals industry with constant training and expansion on experience. Our removals company in Gidea Park, RM2 keeps up to date with removal technology and practices, giving you peace of mind knowing that your belongings are in the safest hands. We are a removals company that has a strong commitment to customer care and complete respect of customers’ property and provides a removal service in Gidea Park. So, you can call our removals team today on 020 8746 4402 for a free quote and a removals plan. When the day of moving comes, our professional removals team will arrive at your home or office on a day that is convenient for you and will start packing your belongings. We can handle fragile items, large furniture and any other belongings that need to be moved, using suitable packing materials and packing techniques before delivering them to your new home and unpacking everything there. It is a district in East London in the Borough of Havering. It is also known as Romford Garden Suburb which is its original name. The area is the result of an exhibition of town planning. A competition was held over hundred years ago for the best town planning scheme that involved the development and small cottages and houses by more than one hundred architects. The best designs were then sold. Nowadays, they represent the best domestic architecture of their time and several of them are now grade two listed buildings. 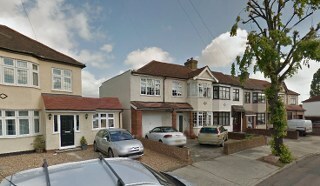 The area is situated close to Romford, Harold Wood and Heath Park, and is linked to the RM2 postcode. It is well connected with several daily bus routes running through the area. There are two nearby railway stations: Gidea Park railway station and Romford station. The district is quiet and safe, with large avenues and nearby parks. It is mostly a residential area with some small business and retail properties nearby. It is a popular place for families and retired residents due to its peaceful atmosphere. There are several nearby schools, as well. The area is known to be a picturesque neighbourhood. If you need removals services in Gidea Park, RM2 provided with reliability, punctuality and professionalism, then Moving Service is the company to call. We have been working in the removals business for a decade and we constantly reuse our experience and knowledge to ensure the fastest and most efficient removals services that you can possibly have. Whether you are moving to a new home or an office, we have the right package for you. We offer personal services as well as packages for a complete removals solution. We deliver man and van service that provide you with a modern removals van and expert removals team, packing and unpacking with appropriate materials, tidying up the area after moving and delivering your items to the new place as safely and efficiently as possible. We promise that you will be more than happy with the removals service we supply. For a house or office removals service in Gidea Park, get in touch with our experienced removals team on 020 8746 4402 who can discuss with you your house or office removal needs. They can give you a free quote and prepare a removals plan so that you can see exactly how we meet your needs.